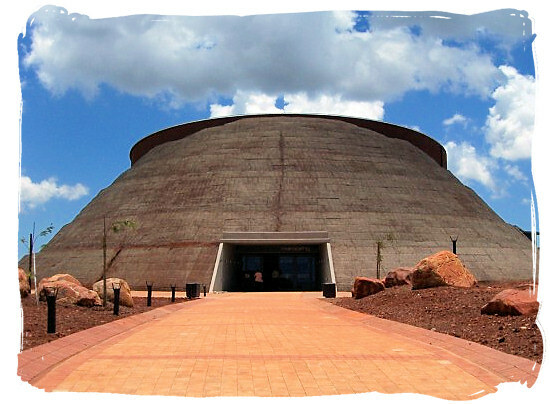 The following is an overview of most of the Mpumalanga museums in South Africa by location, including descriptions, contact details and website addresses, where available. Mpumalanga province is an area of immense natural beauty, a true African landscape. No nature lover or hiker should leave South Africa without having experienced its nature and wildlife delights. In addition to its fascinating flora and fauna, the province also offers the legacy of tribal legends and the gold rush fever of the 1870s. Barberton owes its existence to the discovery of gold in 1884 so it is not surprising that the Barberton Museum has displays on geology and mining as well as on archaeology, ethnology, and military and cultural history. The museum comprises a main exhibition building, an Anglo-Boer War blockhouse, and the Fernlea, Stopforth, and Belhaven house museums. The 24-part exhibition in the Bethal Museum introduces visitors to a progressive rural community. Highlights are the Kork Pharmacy (1890) and the history of the Bethal Commando during the Anglo-Boer War (1899-1902). The Botshabelo Mission Station is a historical mission station that includes Fort Merensky, churches and a parsonage. The museum provides a look into the daily routine of a 19th century mission station. Adjacent to it is the Traditional Village, a living museum where Ndebele women demonstrate beadwork and other handicrafts and paint the brightly coloured geometric murals characteristic of their villages. The Kgodwana Ndebele Village and Museum consists of a reconstruction of Ndebele dwellings, an exhibition of arts and crafts, demonstrations of beadwork, weaving, and so on. The Shangane Cultural Village is a reconstructed Shangaan village where visitors can experience the culture of a Shangaan family and learn about their way of life. Midday tours include dancing and a meal. The Lydenburg Museum is a local history exhibition that includes replicas of the famous Lydenburg Heads - terracotta animal and human heads dating from the Later Iron Age, AD 500. The entire village of Pilgrim's Rest, the site of the first economically viable goldfield, has been conserved and restored as a living museum. It boasts beautiful examples of houses from the period of the gold rush as well as an early mining camp and a complete reduction works. The Alanglade House Museum offers guided tours of the former mine manager's house. The Diggings Museum just outside the town arranges guided tours of gold-panning activities. The Dredzen Shop Museum consists of a store stocked with a range of items in use nearly a century ago. The cultural-historical Forestry Museum in Sabie depicts various aspects of the country's forestry industry. The Krugerhof Museum is housed in a national monument, the house that was originally an annexe of the hotel and was the last residence of President S J P Kruger in the ZAR before he left South Africa in 1900 to go into self-imposed exile.